England Squash Licenced coach, Steven Mason, is running fun junior squash sessions every Sunday from late September 2018 for ages 4 to 18 years. Contact Steve to register your interest. Poster. 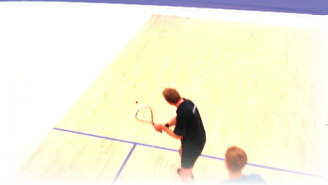 Squash is a fantastic game for building coordination skills and balance. Simply hitting a ball against a wall and running around a lot can also be a lot of fun so get involved.